Jennifer Lopez joined Ariana Grande, Taylor Swift, and Kim Kardashian on the red carpet at the 2014 MTV Video Music Awards held on Sunday at The Forum in Inglewood. While her ex-boyfriend, Casper Smart, was also seen on the carpet at the show, they did not pose together for pictures. The 46-year-old entertainer donned a shimmering silver gown by Lebanese designer Charbel Zoe featuring a bodice with multiple cutouts. Jennifer styled the silver sequin embellished dress with a silver python Thalé Blanc “Talia Fastueux” mini clutch, Norman Silverman jewelry, and metallic white Jimmy Choo “Tartini” pumps. Fashion critics were not impressed by her ensemble. What would you have done differently? 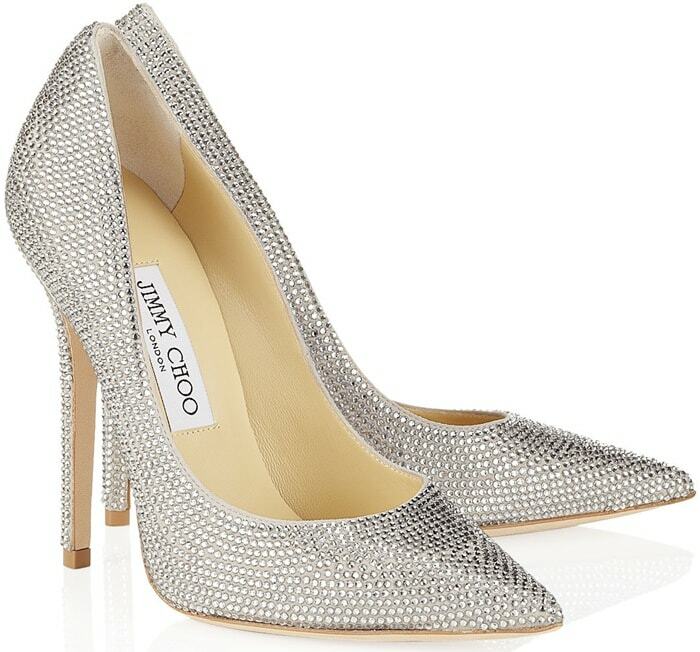 Jennifer’s pointy-toe ‘Tartini’ pumps by Jimmy Choo are encrusted with pavé crystals for a dazzling effect. 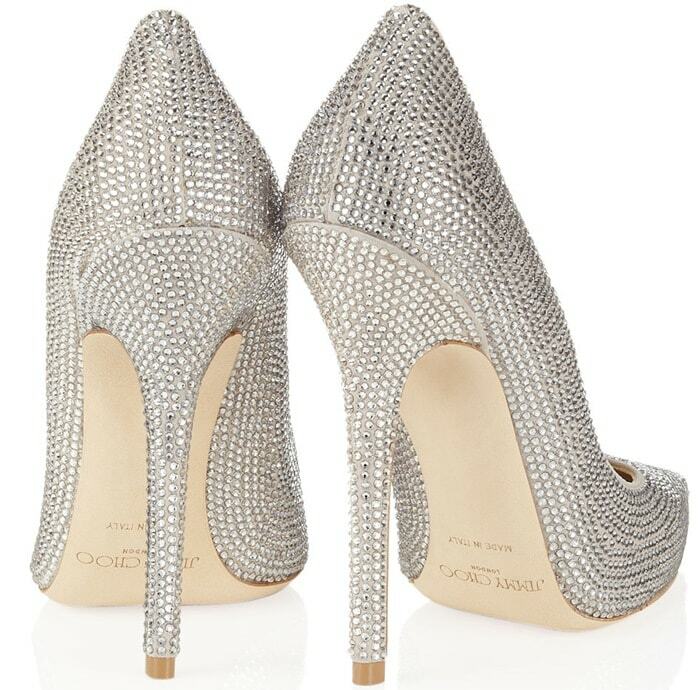 We expect them to become available soon at Neiman Marcus and Saks.